Naples may once have been considered a sleepy beach town, but it’s become one of the Sunshine State’s most desirable vacation destinations for families. Look for beautiful beaches and opportunities to explore nature, but even then, you’ll only scratch the surface of what Florida’s Paradise Coast has to offer. 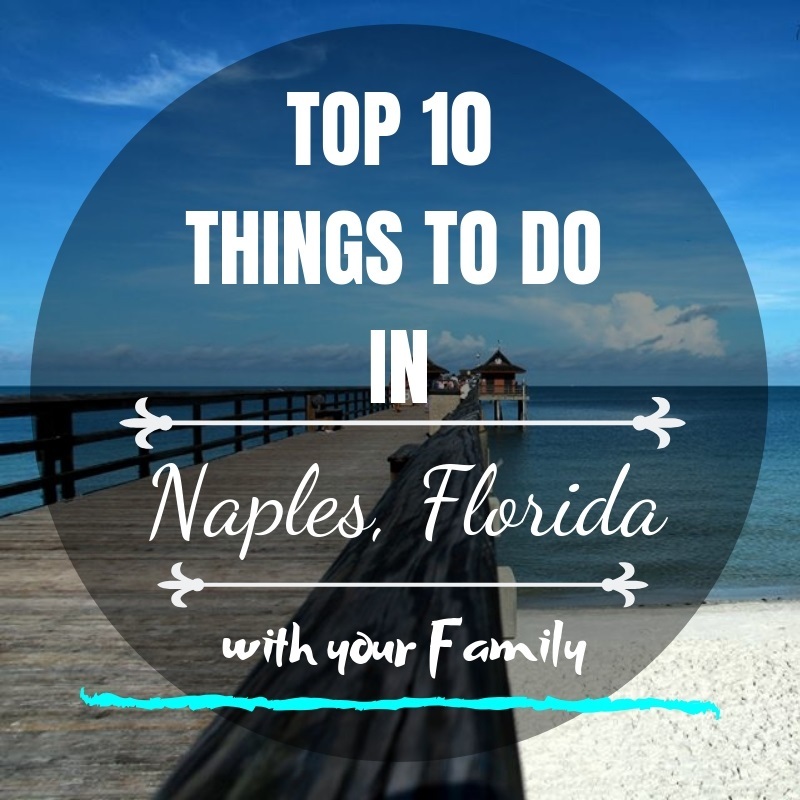 Here are the top 10 things to do in Naples Florida for families. Families will love exploring multiple gardens at the Naples Botanical Garden, such as the Asian Garden featuring bamboo trees, rice paddies, statues, and temples. The Children’s Garden is also not-to-be-missed for the dancing fountains, tree houses, and Nature Bingo, an interactive way for kids to learn more about the garden’s herbs, plants, and flowers. Feed a giraffe, ride a camel, and take in multiple animal shows at the Naples Zoo at Caribbean Gardens. Kids can even watch as alligators are fed in Alligator Bay and take a short boat cruise to see monkeys and apes before learning the ins-and-outs in a day in the life of a zookeeper. Take a break at Cub Kingdom or Cub Corral, two shaded animal-themed play areas at the Naples Zoo. Just down the road, on Marco Island, a three-hour boat ride on the Dolphin Explorer is an absolute must. Help the survey team catalog dolphins as part of the 10,000 Islands Dolphin Project and take the Dolphin Challenge to earn a patch upon completing an activity booklet. Kids will also love getting off the boat to collect shells and splash around at the beach. Take in the local flora and fauna at the Corkscrew Swamp Sanctuary as you make your way along a 2.25 mile boardwalk that takes you through marshes, cypress forests, and wetlands. Keep your eyes peeled for alligators and turtles alongside the path. Volunteers are often available to help identify birds and other wildlife in the swamp. Kids will love the hands-on activities and creative ways to play at the Golisano Children’s Museum of Naples. Learn more about Florida by exploring Journey Through the Everglades, complete with wildlife sounds and a mangrove exhibit. Meanwhile, Mother Nature’s House will teach children all about the weather and seasons, while the At the Beach room allows children to explore shells, pelicans, and turtles. Bonita Beach Dog Park is a dog lover’s paradise. Not only is it a great beach with beautiful white sand, but it’s the place to go if you’re traveling with a dog or if your kids love dogs. It’s an off-leash beach. You’ll find plenty of furry friends chasing Frisbees, splashing in the water, and taking a snooze in the sand. There’s even a dogie shower station for pups to clean up after a saltwater swim. When you’re ready to take a break from shelling, splashing, and sun-seeking, head to Coral Cay Adventure Golf for 36 holes of miniature golf. Kids will love the tropical flowers, waterfalls, and palm trees that beautify the course. With two separate courses, it’s a great place to spend the afternoon or to enjoy as an after-dinner family treat. No trip to Florida is complete without a visit to the Everglades. Enter at the Gulf Coast Visitor Center in Everglades City, which is less than 45 minutes from Naples. Take an airboat ride, go for a hike, or hook up with Naples Bicycle Toursfor a guided bike tour as a family. For kids, the Everglades Junior Ranger Program is a must. Complete a variety of activities and earn a Junior Range badge. You’ll find fine white sand and plenty of room to spread out at Clam Pass Beach Park. Take the multi-rider golf cart out to the beach or walk along the .6 mile boardwalk through mangroves to get to the public beach, which is shared with the Waldorf Astoria Naples. Free nature walks are offered in the winter and spring, providing a great way to learn more about the local scenery and conservation efforts. Take a guided tour of Rookery Bay Reserve either by boat or by kayak to explore the bays, mangrove forests, and wildlife. Families will also enjoy several short walking trails (1/4 mile each) that are marked to help visitors learn about the trees and flowers native to the area. In the summer, look for free kids programs complete with story times, touch tanks, and crafts.